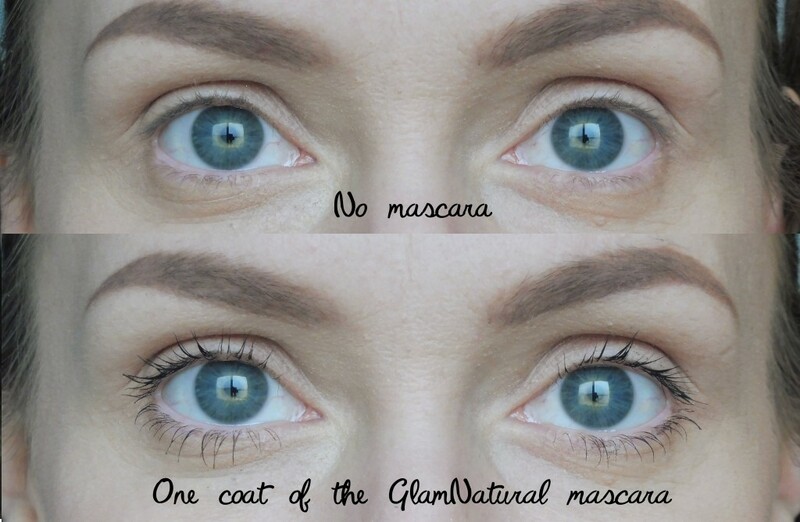 This review is for the GlamNatural Mascara in Black which retails for $28 USD. 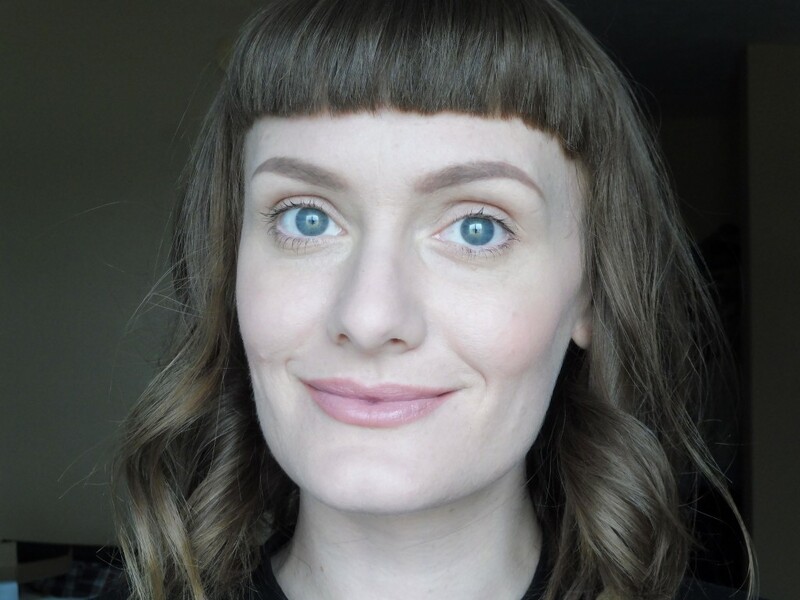 The GlamNatural mascara gives a lovely natural look and wears without flaking, but I did experience some smudging of my top lashes against my brow bone. This mascara doesn’t irritate my extremely sensitive eyes at all, and the formula doesn’t make my lashes feel stiff or dry. I also like knowing that the ingredients aren’t awful for my eyes. The GlamNatural range is 100% vegan! This mascara did smudge slightly during the day, and I prefer a more dramatic lash look than this gives me. 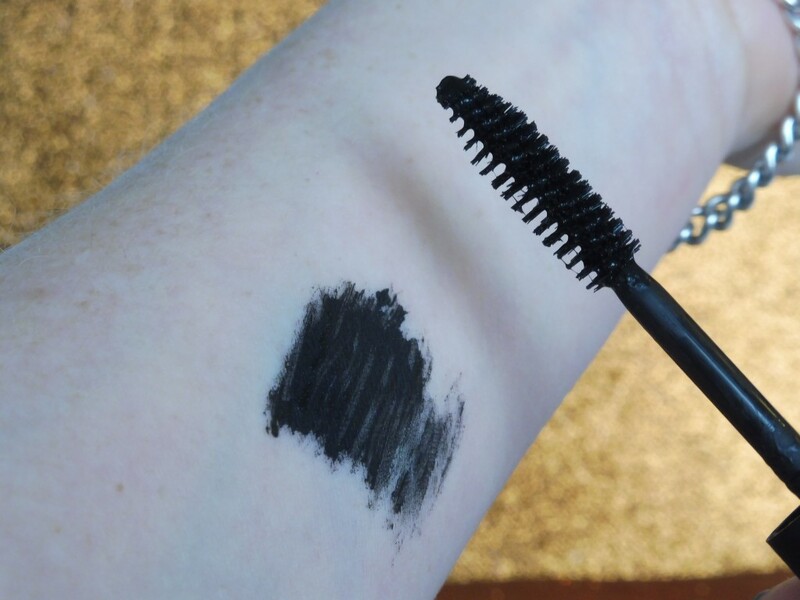 The formula of this mascara is quite wet, making it easy to apply, and it dries quickly. I found it difficult to apply more than one layer of this mascara without having my lashes stick together. Also, the bristles on the wand are quite long which meant that I often touched my eyelids when applying the mascara (another downside to having such fine eyelashes). Below you can see how pale and fine my natural lashes are and that one coat of the GlamNatural mascara does make them blacker, but doesn’t do much in the way of thickening or lengthening. All in all I think this is a lovely mascara for an understated look, and I would recommend it to anyone looking for a natural looking mascara with natural ingredients. This mascara is not as easy to remove from the eyelids using my Makeup Artist Tip from my Arbonne mascara review, so I recommend being very careful when applying it. If you do need to fix up a mistake, let it dry and then dip a cotton tip into some makeup remover before rubbing it lightly over the mistake. If you’re wearing eyeshadow, then apply some liner over the top and no one will ever know. I recommend thoroughly curling lashes prior to applying this mascara. The GlamNatural range is available worldwide from their website. GlamNatural Mascara (Black) Ingredients: Deionized Water (Aqua), Copernicia Cerifera (Caranauba) Wax, Stearic Acid,Ozokerite, Glycerin, Carthamus Tinctorius (Safflower) Oil, Simmondsia Chinensis (Jojoba) Seed Oil, Persea Gratissma (Avocado) Oil, Panthenol, Citrus Aurantium (Citrus) Oil, Cymbopogon Citratus (Lemon Grass) Oil,Sesamun Indicum (Sesame) Oil, Phenoxyethanol, May Contain: Iron Oxides, CI 77491, CI 77492, CI 77499.